We host a variety of social, professional and informational events each year and always love seeing new members. Come out and meet your fellow Canadians and check back often for new postings. Want to see your Canada-related event here? Email us the details and we'll promote it! 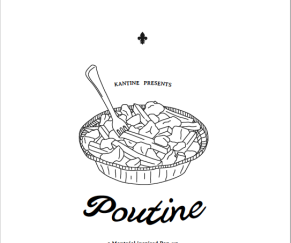 Kantine goes French Canadian for just one night! Fries, cheese curds and gravy. Doors open at 6-10pm or until we run out of food! This is the fourth annual comedy night for immigrant rights. Event proceeds go towards the IIBA's services to immigrant communities. 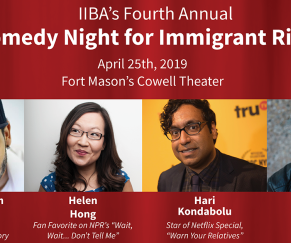 Join the International Institute of the Bay Area for an evening of laughter in celebration of the contributions immigrants have made and continue to make to this country. Event proceeds will support the vital services IIBA provides to immigrant communities. Our panel will gather Canadian and Canada-friendly experts in the growing ESG investment sector to discuss current trends and challenges, and share tips and insights from the field. 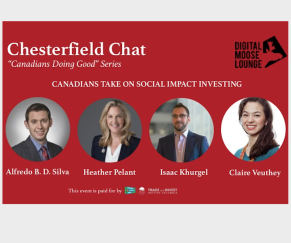 Come and learn how we can influence today’s social and environmental challenges by being more informed and thoughtful about our own investments. Your free registration includes a panel discussion followed by a Q&A with the audience, and networking with other Canadians and attendees. Food and refreshments will be available. Thank you to our sponsors/partners at BC Trade and Invest, as well as Morrison Foerster. Quebec native, Virginie Brunelle, is bringing her avante garde style of modern dance to the San Francisco International Arts Festival this Spring. physique et acrobatique empreinte d'une poésie visuelle remarquable. Tickets will cost between $15 and $28 each. These can be purchased beginning March 1st on the Fesitval website.